Asus has announced two tablets at Computex 2014. The Fonepad 8 and Memopad 8 are both Intel powered tablets which Asus boss Jonney Shih says are proof that it is not the number of cores that determine the capabilities of the device. There may have been some amount of dismissal of the capabilities of current benchmarking software for measuring the new Intel Atom processors thrown in as well. 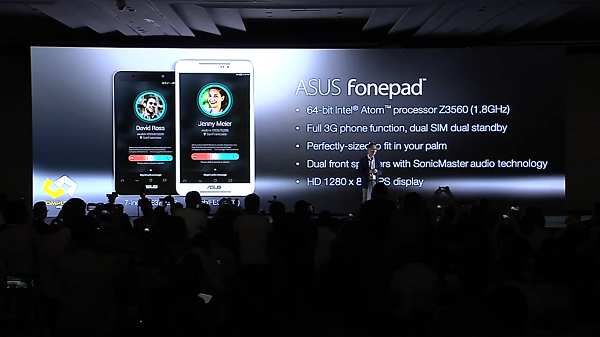 The Asus Fonepad 8 features a 1.8GHz 64-bit Intel Atom Z3560 processor and is available in both 7- and 8- inch form factors. It is also a dual SIM tablet-smartphone with full 3G smartphone functions and a 1280 x 800 display. The Memopad 8 carries on from the previous generation by being thinner and lighter: at 299 grams and 7.45mm thin. Unlike the Fonepad 8, the Memopad is LTE enabled with a slightly more powerful processor in the 64-bit Intel Atom Z3580. 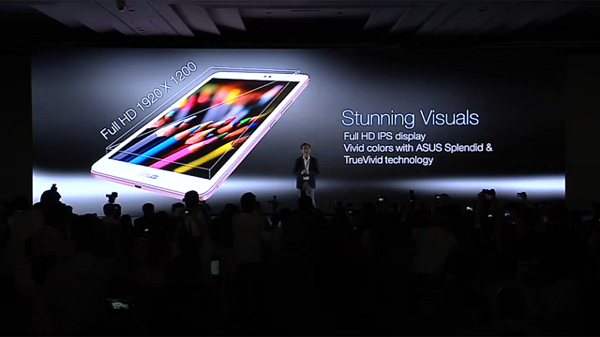 It has an 8-inch 1920 x 1200 IPS display protected by Corning Gorilla Glass 3. There is also a 7-inch variant available, but there is no news about what the difference between the two is.